We’re headed back to the sunshine state for BluJay’s annual SOAR Customer Conference, and excited to share what we have in store this year! 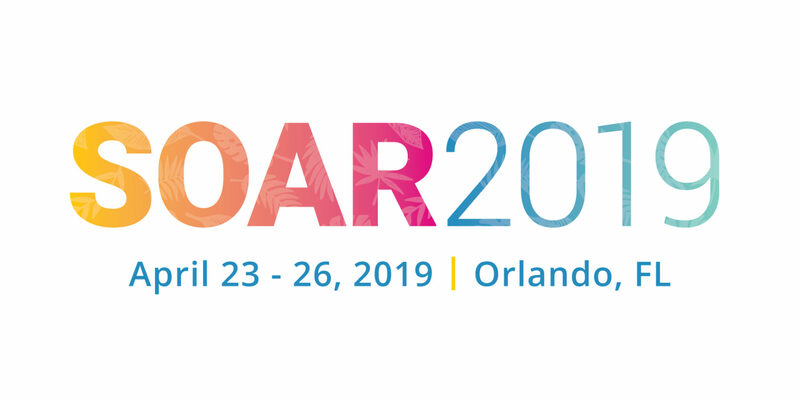 Taking place from April 23-26 in Orlando, Florida at the Loews Sapphire Falls Resort at Universal Orlando™, SOAR promises to be another unforgettable experience. BluJay looks forward to welcoming hundreds of our customers and partners. Attendees will have the chance to hear and discuss the latest supply chain trends and news, gain knowledge about their solutions, and network with fellow customers using the Global Trade Network (GTN). More than 40 breakout sessions are lined up, all tailored to provide insights on industry-leading practices for BluJay’s GTN community of shippers, brokers, forwarders, 3PLs/LSPs, and carriers. Voice of the customer – Hear from peers who will present practical ideas using BluJay’s platform across industries and functions. For example, Sabra will share how they utilized Network Modeling and optimization tools within the TMS to lower transportation and production costs and improve service levels. Garmin International and Colony Brands will speak on their experiences with Parcel – from rolling out an upgrade, to successfully scaling for peak. International food business Aryzta will walk attendees through the program they’ve developed for collaborative carrier management. Additionally, shippers will find out how they can bring their voice to the product community and influence the roadmap with participation in BluJay’s Customer Advisory Board (CAB) and the Aha! ideas portal. Get the most from your solution – Take a deeper dive with new advanced application Tips and Tricks sessions designed to provide super-user insight and a path to learn even more. Shippers can also schedule demos or one-on-one time with solution consultants or product specialists in the Experience Zone. Discovery sessions – Learn about integrated and complementary applications offered in the GTN. Discovery sessions – like one on Logistics as a Service (LaaS) with customer Rich Products giving a picture of productivity and data at work – give shippers high-level information on capabilities that matter most to them. Find out more with discovery sessions on Transportation Management, Fleet Management, MobileSTAR, Parcel in the Cloud, Managed Procurement, Control Tower, Yard Management, Compliance, Global Customs Management and more. Learn from experts – Get energized by dynamic keynotes on topics like digital disruption and winning under pressure. General sessions on leadership, blockchain, and machine learning and AI will provide practical advice and insight on trends. This is just a taste of what shippers can expect to take away from SOAR. We’re so pleased to gather again with our customers to build relationships, learn from them, and share knowledge to help optimize their businesses. Learn more about the exciting line-up of outstanding speakers and all-new entertainment and networking opportunities at SOAR 2019 when you visit the event page. There you can subscribe for SOAR updates, get quick answers to FAQs, and of course reserve your spot for BluJay’s biggest event of the year.